Note; Not long ago, this amazing man passed away in 2019. Harold Steele truly does read like a who’s who whether you are talking about his World War II service where he served under Patton, found MIA soldiers, and his late wife was a cryptographer, or whether talking about his Farm Bureau service or the days he served under both Reagan and Bush administrations. Harold Steele is a man that could be the subject of a novel or two and would make a movie to boot. Although not able to go the day of the event, Keith and I were honored to meet with Harold and hear his stories and see his amazing collection. 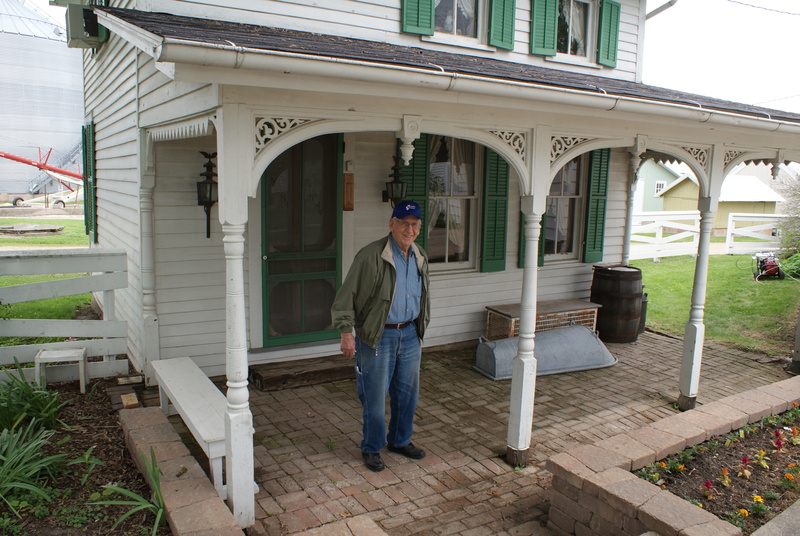 Harold who is 92 and still lives on the farm that his grandparents built at the turn of the century has three buildings that house his farm and home museum. “I started collecting household goods everything from an old time method apple peeler to victrolas, to a rope bed, to a broom of corn husks. This was what I was doing. I wanted something that was real,” Harold said. Harold’s collection is comprised of anything from planters to wood working equipment to a beautiful wooden plow built in the 1700’s. He opens up his collection each year on Armed Services Day. Visitors may come at other times although he said machinery will remain in the museum. Thank you Dave Carton for letting me know about this amazing man, I will be back! Harold Steele had an auction today, 8/19/16 and will have two more. This amazing man that is now 94 has decided to sell off his pieces. If you are reading this in time to attend his November or after the first of the year auction, this is the opportunity of a lifetime.